If you are a local merchant interested in Bitcoin, whether it be accepting them, or simply wondering if they could benefit you, please contact me. If you agree to accept Bitcoin at your establishment in some form, I will in turn advertise your business here at no cost. All merchants listed here accept bitcoin payment. 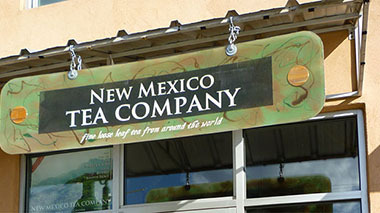 Located in the heart of Albuquerque's Old Town district, NMTea Co. offers exotic teas shipped right to your doorstep. 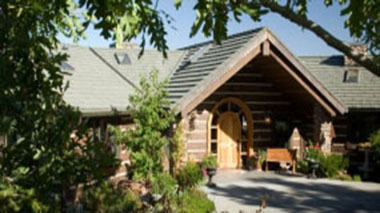 Suites and Healing Retreat Center located in beautiful Taos New Mexico. 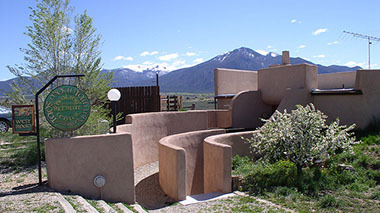 Offering four suites, of differing sizes, complete with full kitchen, fireplace, balconies facing east to Taos Mountain and the spectacular dawns, an open air hot tub, and beautiful personal touches throughout, the Taos Mountain Inn will make you feel at home, and want to return, year after year! 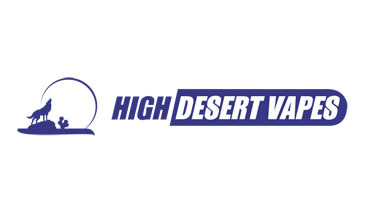 Located in Albuquerque's famed Nob Hill Disctrict, High Desert Vapes specializes in all things vapor. From vape, ecigs, e-juice's, DIY, unique flavors and e-liquid's, you'll find everything and anything you need. 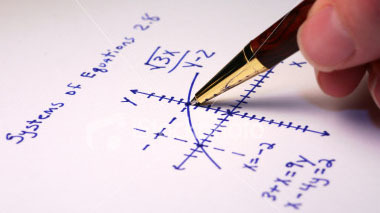 KR Tejeda offers private tutoring for students of Mathematics, Statistics and Physics at both the High School and undergraduate University levels. He has over a decade of experience as a professional tutor and has worked at many of the higher learning institutions in Albuquerque, including CNM and UNM. He is currently finishing a Masters Thesis in Applied Mathematics at the University of New Mexico, focusing on Mathematical Physics and Scientific Computing. He accepts Bitcoin for his services at a USD conversion rate of $25/hr. He can be reached via e-mail at: kr@openmailbox.org. Group discounts and low-income rates	are available upon inquiry. Alternative currencies (especially Bitcoin) and barter are welcomed and encouraged. Mexican restaurant specializing in home cooked New Mexican food. 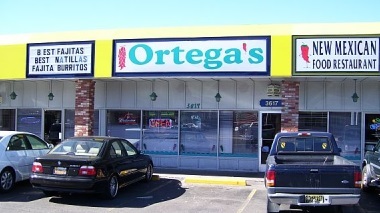 Ortega's New Mexican Restaurant is one of Albuquerque's top rated Mexican Restaurants. Stop in today and order from a huge menu full of great Mexican and American style dinners. Photo booths are fun for all ages and produce great party favors! 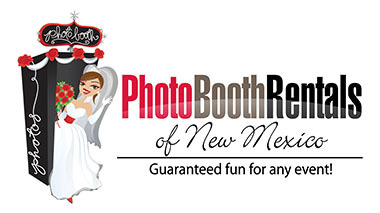 As the most experienced photo booth company in New Mexico, we provide the very best, not just in photo booth quality, but in service. Our photobooth professionals are there to assist you every step of the way, and we do it with class. Leave it to the professionals! Custom residential architecture design firm specializing in energy efficient and sustainable homes. … a custom, passive solar, green home with cozy indoor spaces, washed in natural light, that flow gracefully to comfortable outdoor spaces, designed just for you. Imagine your home nestled on your land, in the US or Canada, reflecting your personal style, your commitment to sustainable architecture and your appreciation for quality. Comfortable summer and winter with green home design that includes updated passive solar and pattern language design concepts, Sunlight homes are built with a super insulated, SIP shell and high performance windows. They can even be off-grid, using zero energy from fossil fuels. 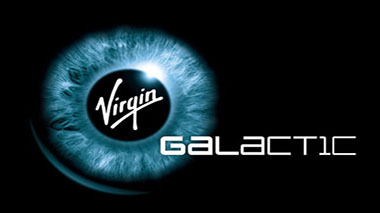 Virgin Galactic, owned by Sir Richard Branson\'s Virgin Group and Aabar Investments PJS, is on track to be the world\'s first commercial spaceline. Their reusable, suborbital spaceship (SpaceshipTwo) and carrier craft (WhiteKnightTwo) have both been developed by the legendary aerospace pioneers Scaled Composites. Founded by Burt Rutan, Scaled developed SpaceShipOne, which in 2004 claimed the $10m Ansari X PRIZE as the world\'s first privately developed manned spacecraft. Their new vehicles share much of the same basic design, but are being built to carry six customers and two pilots on sub-orbital space flights. Each mission will give their future astronauts an out-of-the-seat, zero-gravity experience offering astounding views of the planet from the black sky of space. The test flight programs for SpaceShipTwo and WhiteKnightTwo are well under way, leading to Virgin Galactic commercial operations, which will be based at Spaceport America in New Mexico. In July 2012, they announced a new program called LauncherOne. LauncherOne will be launch small satellites into orbit for a wide variety of commercial and government customers. Animal veterinary services at affordable prices. 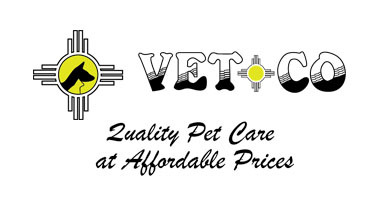 Vetco has a commitment to providing quality pet care at affordable prices. 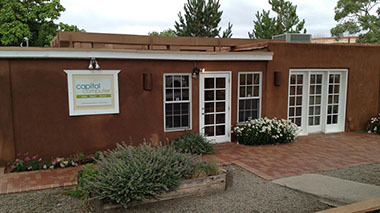 For over 25 years, they have been giving well animal veterinary services to New Mexico's pets. Headed by Dr. Charles Olinger, DVM their veterinarians have over 75 years experience between them and offer high quality low cost pet care to New Mexico's servicess and dogs. Providing a whole host of computer and internet services ranging from home and business IT support to website hosting and cloud storage. For the fun and love of soaping. 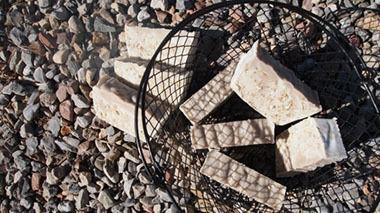 Specializing in custom beautiful hand crafted soap, every bar is different and unique. 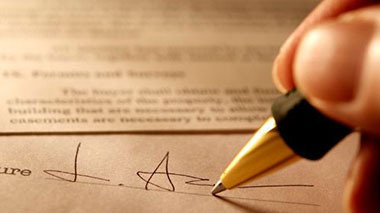 Small Business law firm focused on New Mexico and Illinois. Law 4 Small Business (L4SB) is the brainchild of its founder, Larry Donahue, sprung forth after almost 15 years as a Chief Operating Officer and Corporate Counsel for a number of high-tech companies and startups.